The Ingram Collection seen in a 2014 photograph. The Ingram Collection was connected to the building that exploded Wednesday in Durham, Spectrum News North Carolina reported. WDTV, an ABC affiliate in the area, said it reached owner Bob Ingram, who declined to comment. The station aired more than 3 minutes of overhead footage on its website that showed Porsches damaged by the blast. One person died and more than a dozen were injured. The collection was assembled by retired pharmaceuticals executive Bob Ingram. 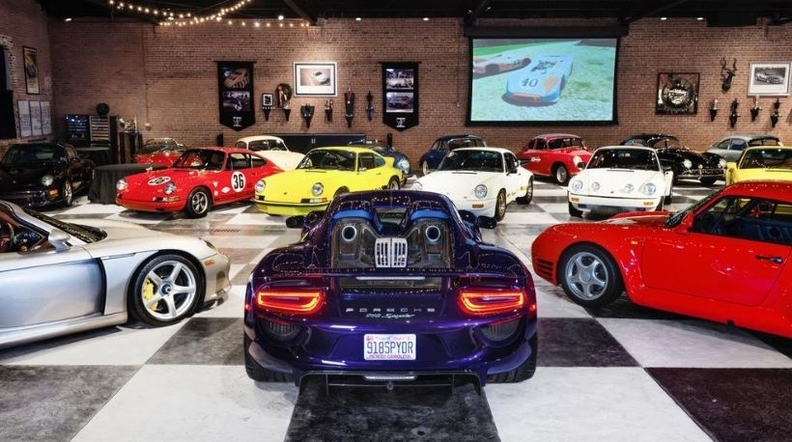 “The Ingram trove is well hidden in the Durham, North Carolina city center," the profile posted on Porsche.com said. "There are 80 vehicles in this star parade, lined up in a custom show space whose red brick facade gives no indication of the prizes inside. It is a breathtaking review of automotive design history, reaching from the 918 Spyder back to the third oldest 356 model still in existence, built in Gmünd in Austria’s Kärnten region."